Making wound treatment choices on the basis of the color or exudate of the wound bed is easy, but may not reflect the complexity we see in the multiple presentations encountered in the chronic wound bed. 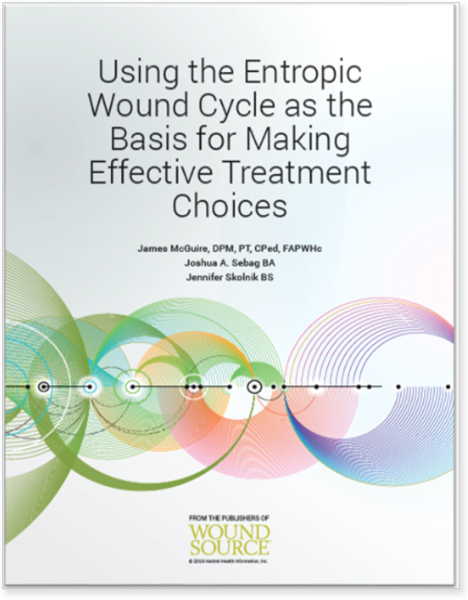 This white paper presents a graphic representation of the downward cycle of the “Entropic” wound and suggests an evolving strategy for using wound assessment characteristics to decide on treatment interventions and dressings. This paper is generally written for health care professionals with an interest in chronic wound management strategies and product education.